I had a fantastic month in France relaxing, working on my little house in Limoux and making a drawing every day while I was out there. I got back to thousands of emails and a series of new albums just about to be released. My first task was to create the map for the Cambridge Blue Plaque Walk Map which we’ll be using at the Art Language Location exhibition next Month. Join us on Saturday 18th October 10.30pm at Cambridge Rail Station where we will be walking the route of the 21 Blue Plaques in Cambridge City Centre. There is a full colour map that highlights the route but allows you to wander off at any point and re-join the trail. There is also a spotter’s guide, to keep children and the eagle-eyed amongst you entertained throughout your journey. Outside Cambridge Rail Station, Saturday 18th October, 10.30pm, The Cambridge Blue plaque Walk. 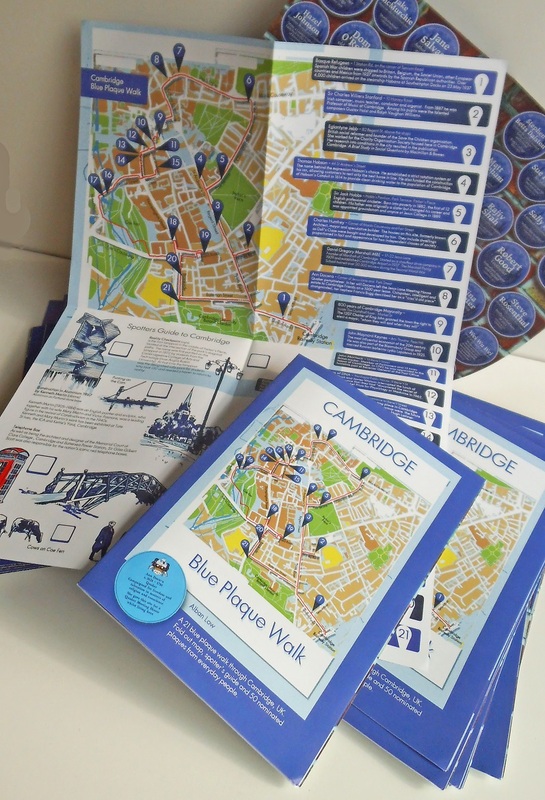 The Cambridge Blue Plaque Walk is a two hour circular walk that visits 21 of Cambridge’s Blue Plaques celebrating famous names like John Maynard Keynes and Sir Jack Hobbs and notable achievements such as the discovery of DNA. The full colour map highlights the route but allows you to wander off at any point and re-join the trail. There is also a spotter’s guide, to keep children and the eagle-eyed amongst you entertained throughout your journey. This walk was originally created as part of the Art Language Location festival in 2014 by artist Alban Low. Alongside the 21 established Blue Plaques, Low invited nominations for everyday plaques that celebrated the unsung personalities and events of Cambridge. He printed these as magnetic plaques and placed them throughout the city with help from a keen group of walkers and art enthusiasts. You can see all 50 overleaf and maybe a few still remain on lampposts and railings along the route. Art Language Location (ALL) is an art festival taking place over two and a half weeks in locations throughout Cambridge, featuring 50 innovative and experimental contemporary artists from across the UK and beyond who use text in their work. Each artist must find an appropriate venue for their work: the resulting intervention creates a conversation between artist, artwork and location. This extended exhibition aims to punctuate the city with a series of visually exciting and unexpected encounters in which our everyday interactions with text can be explored and challenged. If that wasn’t enough map related excitement then hold onto your hats! In April 2015 I’ll be exhibiting in and organising an exhibition of Artists’ Maps at the Sunbury Embroidery Gallery. 20 Maps will be framed, exhibited and of course walked! The next two months sees four releases that I created the album art for. Max Luthert will be launching his album ‘Orbital’ on Monday 20th October at the Pizza Express Soho on the Whirlwind Recordings label. 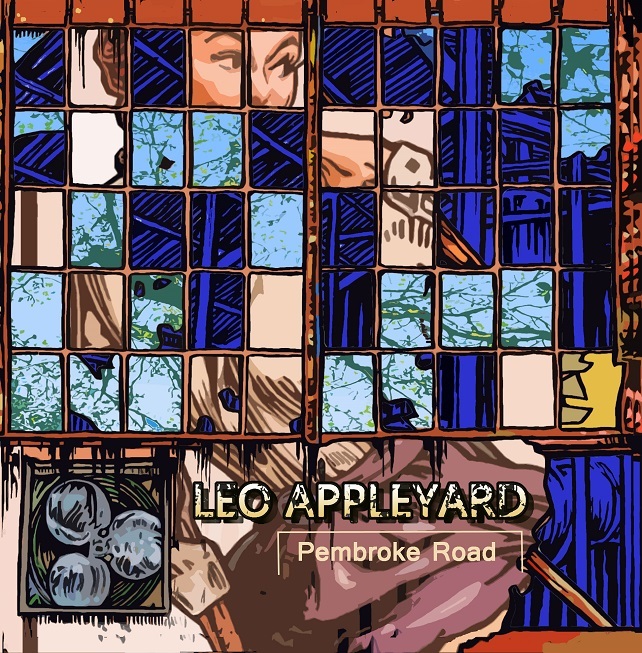 Leo Appleyard’s debut album, ‘Pembroke Road’ will be released alongside Samuel Eagles, ‘Next Beginning’ on the F-IRE label during the London Jazz Festival on the 16th November also at the Pizza Express Soho 12 noon. and finally a online digital release for Bremen based Argentinian born Tango composer Juan Maria Solare called ‘Acuarelas junto al rio inmovil’.